With Summer now rapidly disappearing in the rear-view mirror of 2017, you’d be forgiven for feeling a little bit sad about the approaching colder months. Whilst I personally LOVE the Autumn and Winter months (as I’ve written about a number of times) I appreciate that not everybody is in the same boat. Unlike the last few years, where work has been so busy that we’ve not had time to take a break, we managed to squeeze a great summer holiday in this year – I’m sure I’ll write about it at some point. The holiday was fantastic and created some great memories, so like most people I shall be wistfully remembering them for the next few months – whilst planning next year’s getaway at the same time! We opted to head to France for our break, but many people will have stayed put in the UK for one reason or another – there are plenty of lovely spots close to home that you might choose to spend some relaxation time in. Where’s your favourite? SACO, The Serviced Apartment Company (which offers serviced apartments in Manchester as well as across the UK) have conducted a survey to reveal the top 30 places in Britain that ultimately make us feel happy. The Cotswolds is the home to a number of my favourite camping destinations – it’s easy to get to for us, but far enough away that you feel like you’re getting a decent break. 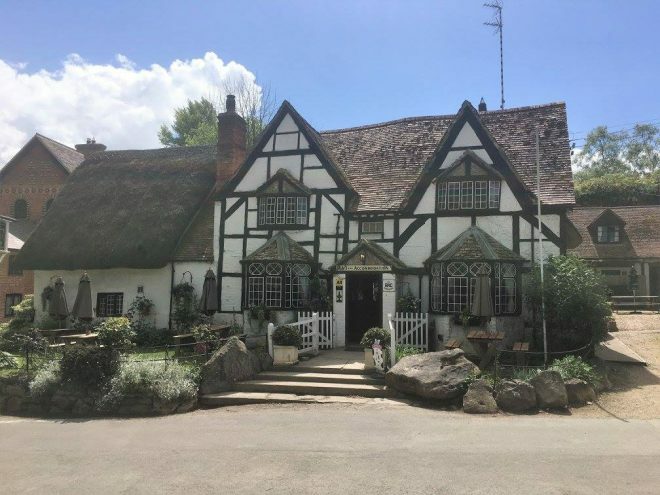 One of our favourite sites is near the White Horse in Uffington, and our weekend camping trips there are never short of a pub lunch or two. The White Horse in Woolstone is a particularly good example, and one I can definitely recommend. 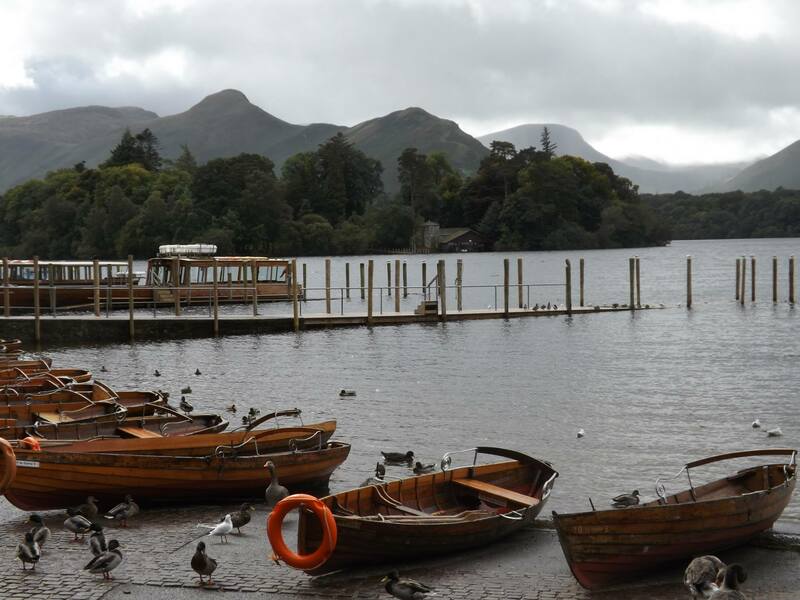 I’ve only been to the Lake District once to date, and that was for a one week training course in Keswick – but what I saw there was definitely enough to make me want to go back with the family some day! Despite being on a training course, we did manage to do some of the aforementioned walking, including a lovely trek around Derwent Water, a photo of which you can see below. I can certainly see why it’s a lot of people’s choice of ‘Happy Place’! Despite living within 50-odd miles of the south coast, we don’t spend as much time down there as we probably should, usually opting for the Portsmouth area over Brighton. But I’ve been down to Brighton a few times, and have always come back with pleasant memories, so I can definitely see how it made it so high on the list. Having been born and raised in the West Country, our family has spent a lot of time in Devon and Cornwall, though Padstow is somewhere we only visited when I was a bit older. I do remember one very memorable Christmas spent in Rock, just over the water from Padstow though – needless to say we made a trip to “Padstein” (the nickname given due to the vast presence chef Rick Stein has in the town!) and almost certainly at Fish and Chips on the beach. The first item in the Top 10 that I’ve not even gotten close to doing – maybe one day we will?! Swiftly followed by another. Is it wrong that the items on the list involving eating are the ones I’m most likely to have done! If this list had been based on me, this one would have been number 1 with a bang. 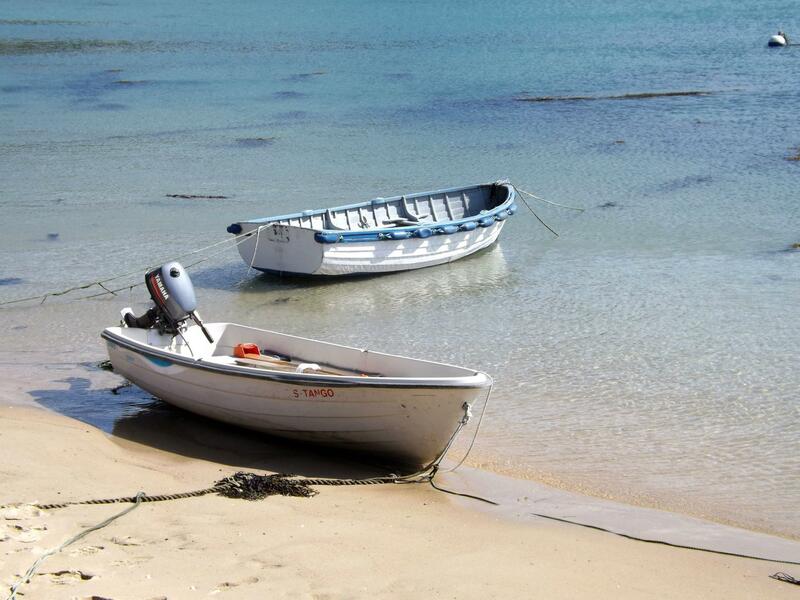 I’ve been to the Isles of Scilly at least a dozen times over the years (indeed it’s where we’re hopefully heading to for our 2018 holiday, fingers crossed!) and having a cream tea is always one of the highlights of our trips. Whether it’s at the Cove Vean cottages on Bryher or the Hell Bay hotel, you can get a cream tea on every single Island, so you’re never far from one when the time calls. 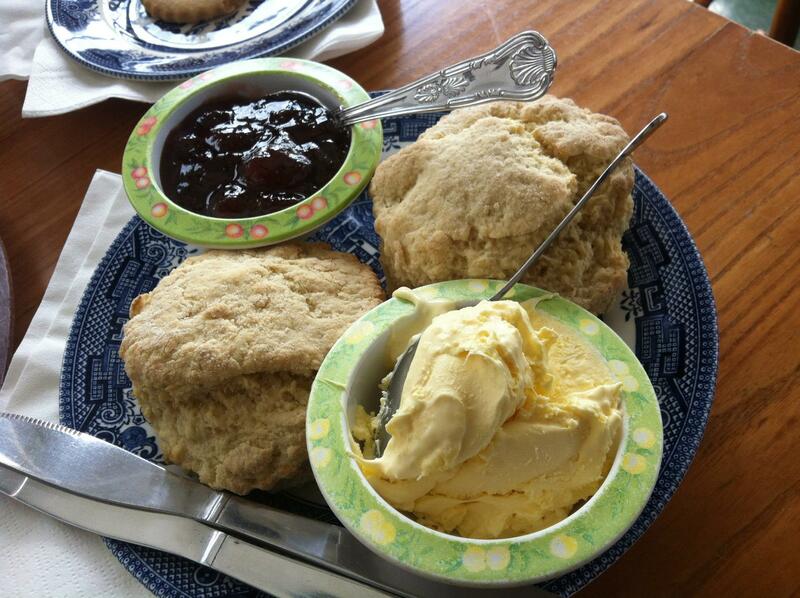 Just don’t put your cream on first – that’s the Devon way and you’ll get yourself some funny looks…! The below example was from the Cove Vean cottage by the way, and disappeared very swiftly! I’m not sure I’ve ever eaten a Pasty in St Ives, but I’ve certainly BEEN to St Ives a few time. And I’ve definitely eaten my fair share of pasties over the years – so I guess the chances are fairly high that I’ve ticked this one off at some point!! Ironically, despite having grown up in Baths and lived there for at least a decade, I don’t have any photos of the Roman Baths at all. I’ve definitely been there a few times (you won’t forget it if you have – the smell of sulfur stays with you for years!) and I can see why it made its way onto the list. I’ve worked in London for over 10 years now, and whilst I’ve taken just about every mode of transport you can think of (including speed boats and cable cars!) I don’t think I’ve ever been on one of the famous open-top buses. Maybe I’ll add this one to my own personal list and explore the city I work in a little more! As you can see, I agree with the majority of the list so I think the British Public have done pretty well on this one. You can see the full list below – let me know in the comments if you think they’ve missed out any hidden gems? Just came back from Lake District which was absolutely amazing. Even with rain, that place is magical. This is such a nice list! I love that so many items included aren’t too expensive or fancy, like walking the dog or enjoying a classic dessert. Surprisingly I’ve done more on here than I expected during our annual trips back to the US. 24 is a big one for me, no matter what beach it is we always end up playing som kind of sport! I loved reading through this list!